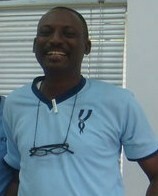 Ibrahim Umoru has been living with HIV for over a decade.He is the coordinator, Network of People Living with HIV/AIDS in Nigeria (NEPWHAN)Lagos Chapter, a peer health educator and currently engaged in some form of advocacy that seeks to address the issue of HIV among sero-discordance couples. Not a few people will admit that one of the things HIV does most times to any family is that it rips it apart by first breaking the marriage and setting couples against each other. This has especially where there have been cases of established or suspected infidelity. But Umoru feels this shouldn’t be. “I think couples can still live happily ever after even with HIV”, he says. If a man who is HIV negative can decide to marry an HIV+-and vice versa,I don’t see why any marriage should break up because one of the couple tested positive to HIV.” Is he alone in this reasoning? Does anyone really share such audacious optimism? Beginning from this week, Umoru will be coming your way with updates on HIV sero-discordance and how families affected by HIV can cope and still stay strong together. Most of his articles will based on his personal experience of living openly with HIV form more than 12 years .You can always visit this blog and click on DisCORDANT Notes for regular updates.